Who invented Sliced Bread? We have all heard of the saying "It's best invention since sliced bread! ", but who invented sliced bread? The name of the person credited with inventing an automatic machine to produce Sliced Bread is an American, Otto Frederick Rohwedder (1880 - 1960). Otto Frederick Rohwedder is not only famous as the American inventor of Sliced Bread but also as a businessman, engineer and entrepreneur. When was Sliced Bread invented? Otto Frederick Rohwedder invented his slicing machine in 1928, during the Interwar period of invention (1918 - 1939). Definition of Sliced Bread: It is defined as a loaf of bread that has been cut and sliced with a machine and packaged for convenience. Fact 1: Who invented Sliced Bread? 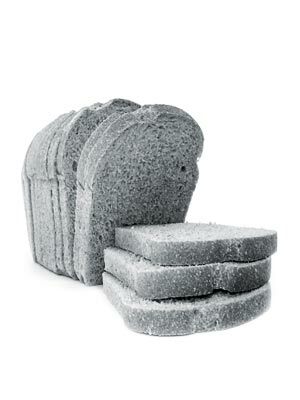 Sliced Bread was invented by Otto Frederick Rohwedder in 1928 during the Interwar Era of inventions (1918 - 1939). Fact 2: Who invented Sliced Bread? Prior to the invention of Sliced Bread in 1928, the history of bread dates back thousands of years when the first bread was invented. It was unleavened, meaning there was no yeast added, and became a staple in mankind’s diet. In 1859, Louis Pasteur discovered how yeast worked and the mass production of yeast began. Fact 3: Who invented Sliced Bread? The Industrial revolution witnessed the introduction of flour mills that made white wheat breads more plentiful and made the mass production of breads possible. The old mill-wheels were abandoned when a Swiss engineer called Jacob Sulzberger invented the Roller grain mill that producing a uniformly white flour without bran. Fact 4: Who invented Sliced Bread? Automatic machinery was invented to mass produce cheap bread during the Industrial Revolution. There were machines to knead the dough, for mass baking and for wrapping the bread, but sliced bread wasn't invented until 1928 when an American came up with the idea. Fact 5: Who invented Sliced Bread? The inventor of Sliced Bread, Otto Frederick Rohwedder, was born on July 7, 1880 in Des Moines, Iowa, United States and died on November 8, 1960. Fact 6: Who invented Sliced Bread? The early years of Otto Frederick Rohwedder were spent in Davenport, Iowa, United States where he was raised by his family. His father was Claus Rohwedder and his mother was Elizabeth Rohwedder. Otto Frederick Rohwedder had three brothers and a sister. Fact 7: Who invented Sliced Bread? Otto Frederick Rohwedder was educated at local schools in Davenport and became an apprentice to a jeweller when he left school. He learnt the trade jewelry trade well and eventually went on to open three shops. Fact 8: Who invented Sliced Bread? In 1905 Otto Frederick Rohwedder married Carrie Johnson, and the couple had two children who they raised in in St. Joseph, Missouri. Fact 9: Who invented Sliced Bread? Otto Frederick Rohwedder was an ambitious man, interested in new inventions and technology. It was these interests that led the jeweler to come up with the invention of an automatic bread slicer, despite the fact he had no experience in the baking industry. Fact 10: Who invented Sliced Bread? In 1893 the first electric toaster was invented by Alan MacMasters, but did not prove popular. In 1909 the first commercially successful electric toaster was launched by General Electric. Perhaps it was these inventions that gave Otto Frederick Rohwedder the idea to make a bread slicing machine. Fact 11: Who invented Sliced Bread? As public demand for labor-saving appliances in the home increased Otto Frederick Rohwedder was sure he was on to a winner. His idea for inventing an automatic slicer would result in the increased consumption of bread due to the convenience of sliced bread. Fact 12: Who invented Sliced Bread? Otto Frederick Rohwedder began work on his device in 1912 and by 1917 had developed a prototype machine together with blueprints for the device. Fact 13: Who invented Sliced Bread? Convinced that his invention would be a success, he opened a small factory in Monmouth, Illinois. But disaster struck in 1917 when the factory, his prototype and blueprints were all destroyed by fire. Fact 14: Who invented Sliced Bread? Otto Frederick Rohwedder had to start on his invention of a machine to produce Sliced Bread had to start all over again and he had to save enough money to re-start the business. Fact 15: Who invented Sliced Bread? On November 26 1928 Otto Frederick Rohwedder filed his patent for a 'Machine for slicing an entire loaf of bread at a single operation'. In the same year he founded Mac-Roh Sales & Manufacturing to build and sell his machine. Patent number US 1867377 was issued for his invention on July 12, 1932. Fact 16: Who invented Sliced Bread? On July 7, 1928, Missouri's Chillicothe Baking Company the first slicers went on sale to the public in Chillicothe, Missouri. A St. Louis baker called Gustav Papendick was one of the first to buy Otto Frederick Rohwedder's machine in 1928 and went on to perfect the design. Gustav Papendick's improved design packaged the sliced loaves in cardboard trays, keeping the bread neat and orderly, and wrapped it in wax paper. Fact 17: Who invented Sliced Bread? In 1930 Wonder Bread, began marketing sliced bread nationwide and their remarkable advertising and marketing campaign eventually led to the popular phrase "the greatest thing since sliced bread". Fact 18: Who invented Sliced Bread? Customers loved the convenience, reliability, and consistency of sliced bread and Wonder Bread brand was so successful that by 1933 American bakeries were producing more sliced than unsliced bread. Fact 19: Who invented Sliced Bread? Otto Frederick Rohwedder had foreseen the need for uniformly sliced bread to fit in a toaster. His invention also helped make the sandwich more practical. sell his invention to Micro-Westco in Bettendorf, Iowa. Fact 21: Who invented Sliced Bread? Otto Frederick Rohwedder was appointed vice-president and sales manager of the Rohwedder Bakery Machine Division until he retired in 1951. Fact 22: Who invented Sliced Bread? Following his retirement he moved to Albion, Michigan but he never received financial compensation or proper recognition for his invention during his lifetime. Fact 23: Who invented Sliced Bread? Otto Frederick Rohwedder died on November 8, 1960 in Concord, Michigan and was buried at Riverside Cemetery in Albion. His name is now remembered and recognised as the ingenious inventor of sliced bread.